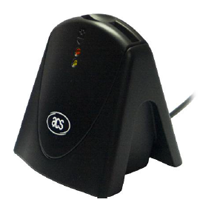 ACR38U-H1 is a smart card reader with a unique design. It belongs to ACR38 family of high-speed smart card readers/writers, which has proven to support highly demending smart card applications. Low cost but high quality, the ACRU-H1 creates lasting customer value and offers viable and user-friendly solutions for various smart card applications.